Kenny Sebastian Hates Bursting Crackers. Here’s Why You Should Too! 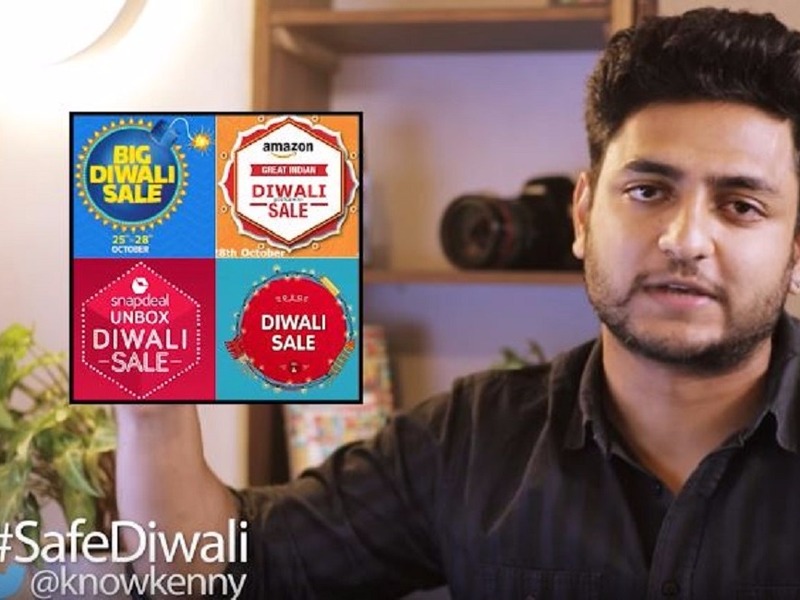 The ever-so-prolific Kenny Sebastian is at it again and this time his timely tirade has Diwali crackers in its crosshairs. We all know how harmful Diwali crackers are. But do we ever stop to think about the kind of nuisance they really are? Most of the sentimental brigade that rants on social media about the environment and animal rights for a better part of the year ends up clapping its hands and gleefully indulging in cracker-bursting come Diwali night. The hypocrisy embedded in our system is convenient to the point of being idiotic and nowhere does it shine brighter than on festivals. Kenny takes a playful approach to his storytelling yet again recounting two incidents; one from his childhood and one from his adolescence; where he completely blew off (pun strongly intended) his play with crackers. We wish for you to have a happy and prosperous Diwali. Just don't pollute it with crackers. If not for us, do it for Kenny, you guys!